The road sector in Africa is the main mode of transport carrying at least 80% and 90% of Passengers. 53% of the Roads in Africa are un-paved, isolating people from basic education, health, services, transport, corridors and trade hubs and economic opportunities. The scope of quality infrastructure in Africa is tremendous; geo-synthetics really improve the overall quality of the infrastructure and greatly increase its lifespan. One of the major advantages of geo-synthetics in road construction is stability for the road system. Diane Smith President of East Coast Erosion Blankets, LLC comments that the erosion blankets go above the soil, and provides that additional erosion prevention factor. 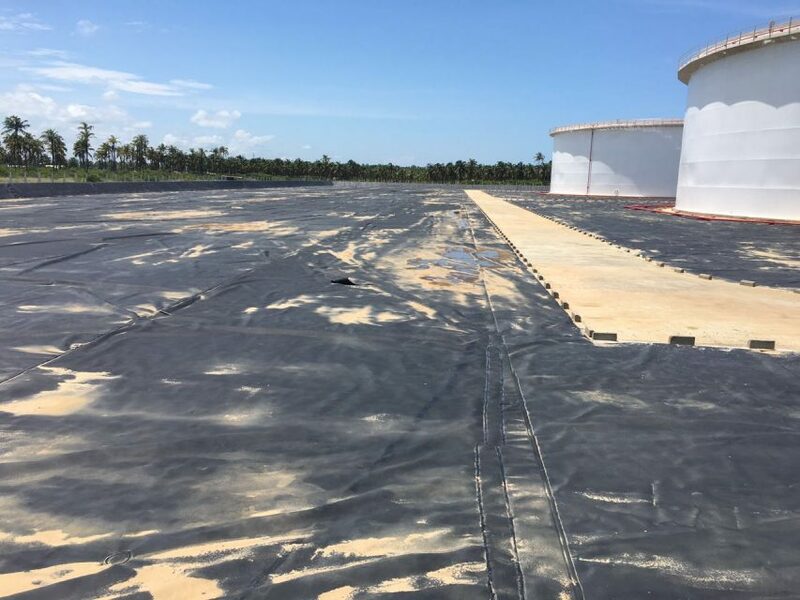 According to Victor Ibrahim, Africa’s Regional Business Development Manager for ACE Geosynthetics , Getting the right product and specification for each project requirement is critical in making purchasing decision when it comes to geosynthetics, as there is no one size fit all in geosynthetics. For each project and application different specification might be needed. 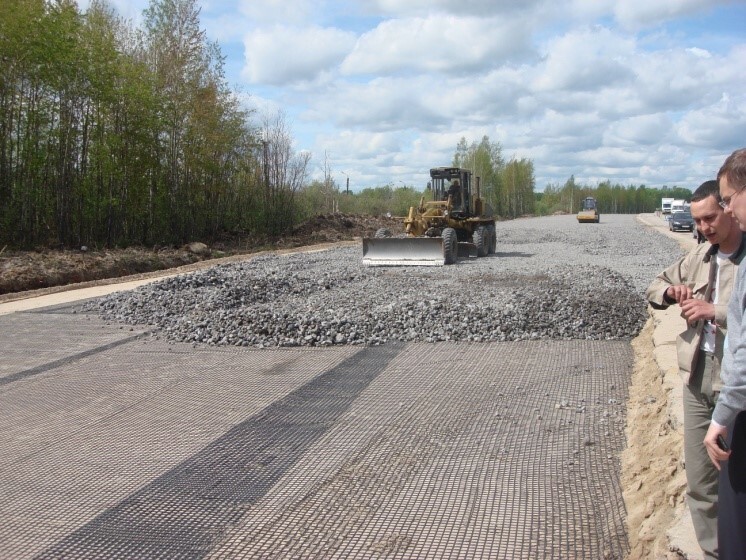 Geosynthetics like stabilisation geogrids, improve the overall stiffness of the pavement layers. 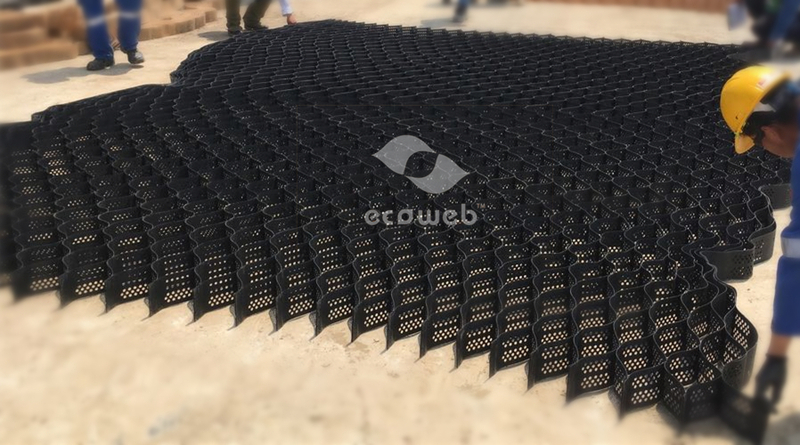 They also prevent lateral spreading of the base, increase the confinement and improve the vertical stress distribution on the subgrade. The combined benefits can enhance load carrying capacity of the road by well over 50%. 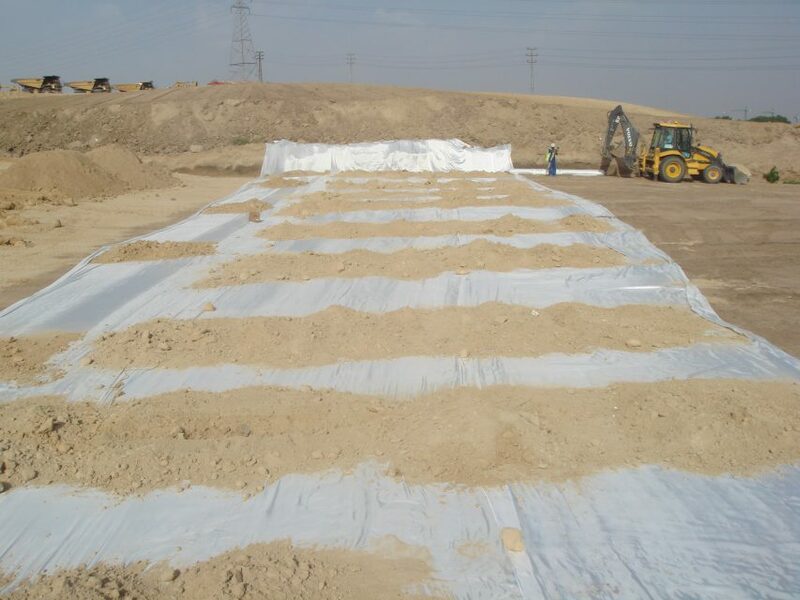 Non woven geo-textile helps in keeping the two layers of soil namely: sub-grade and aggregate, apart; thus preventing mixing and in turn deterioration of their function in the structure. This also prevents contamination of the soil and helps each layer distinctly perform its function. Non woven geo-textile has a very high permeability and allows water to flow freely along its plane into the side ditches. This function allows adequate liquid flow without soil loss. Use of geosynthetic allows adequate liquid flow across the plane of the geo-textile. 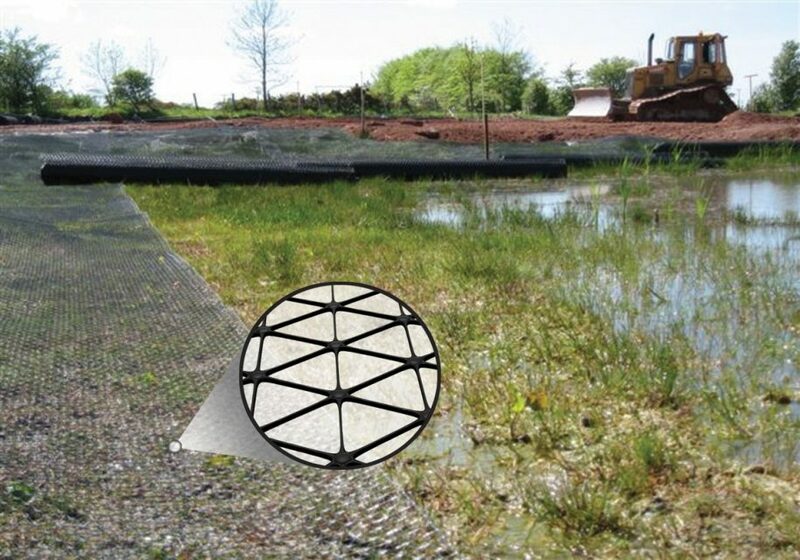 The apparent opening size (AOS) allows water to pass freely from the geo-textile while preventing soil to pass through the same. This is due to the skillful manufacturing of the non woven geo-textile’s AOS, which is always kept less than the size of the finer soil particles. Shivendra Singh, Megaplast India Pvt. Ltd Business Development manager puts emphasis on ensuring the geosynthetic products such as are manufactured to international and various national standards such as GRI GM 13 and 17, CE. “ A manufacturer with reputation for reliability, provides product innovation, quality consistency, price stability and trustworthiness.” The India based company manufactures HDPE /LLDPE Geomembrane, Films and Carrier Bags (HDPE/LDPE/PE) and distributes them across the world. A buyer must compare different products based on same parameters. Stephan Westhus, Sales Director EMEA HUESKER Synthetic GmbH, a German company famously known to produce geosynthetic products such as Fortrac flexible geogrids, Stabilenka high strength geotextiles and other geosynthetic products for civil, hydraulic and environmental engineering adds that a careful and project specific design is highly recommended to be able to choose the best product by performance related parameters. Geo synthetics like any other product in the construction industry is trying to keep up with the market trend through advancement and emerging trends. According to Valery Weyn Director at Geotextiles East Africa, a Kenyan based company that offers specialist Geo-Synthetic materials and solutions for civil, coastal and hydraulic Engineering, waste, environmental, Mining, Architectural and Landscaping industries. Stress-relieving geotextiles or SAMI’s are becoming more popular in road construction more so in East Africa as they are designed to provide a cost effective alternative to conventional construction methods. Alexandra Plaksina, Head of geosynthetic export division of Steklonit, a Russian industrial company in the field of production of geosynthetics and building materials based on fiberglass, basalt and composite materials comments that geosynthetic products based on polyester, fiberglass and basalt will be a rising trend in the market and of interest in the construction and repair of roads and railways, pipelines, soil stabilization and ground retention. Kalaskova Jana, Communication specialist of SAINT-GOBAIN ADFORS CZ comments that damaged roads due to thermal, traffic load and other effect cause every year to the investor’s great repair costs. One of the solution to lifetime extension and increasing the quality of roads are reinforcing fiberglass grids. Longtime research and experience from field projects performed by ADFORS declare the suitability for use of reinforcement grids by road reconstruction. The final quality of repair is always the combination of several components – correct design with suitable product, quality of product and the final realization of works. 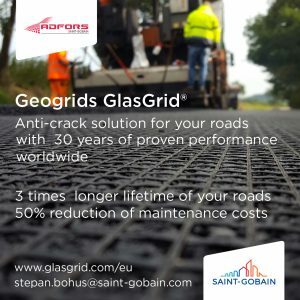 SAINT-GOBAIN ADFORS produces fiberglass geogrids GlasGrid® for more than 30 years. Manas Geo Textile is a leading manufacturers of non woven geo-textiles in India with a fully automated modern European line. They are currently involved in a number of road projects and working with all major consultants and infrastructure companies in the country. 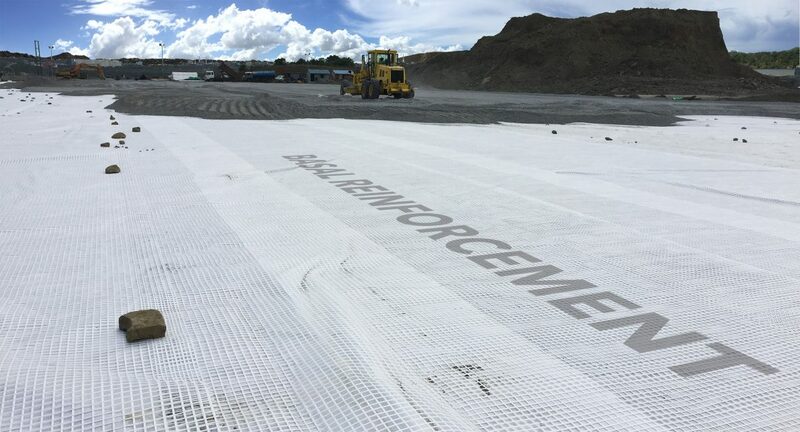 The company believes that the scope of geosynthetics is unprecedented and the number of benefits it can offer to road construction are un-paralleled. Colin Gewanlal, Area Civil Engineer of Tensar International, a company that prides itself in being an expert in technology driven solutions for Sub grade Stabilization and Pavement Optimisation, points out that the African market has always been very price sensitive with much more backlog of service provision than budget allowed to provide for same.This, according to him, has resulted in African Roads Authorities, Design Engineers and Private Developers starting to realize that directly comparing the costs of the geosynthetic products on offer only, may not give a true indication of overall project costs. “One needs to compare the solution costs of the entire pavement section being constructed. This is directly influenced by the type of geogrid used. One cannot simply substitute geogrids in the design and expect the same pavement performance. 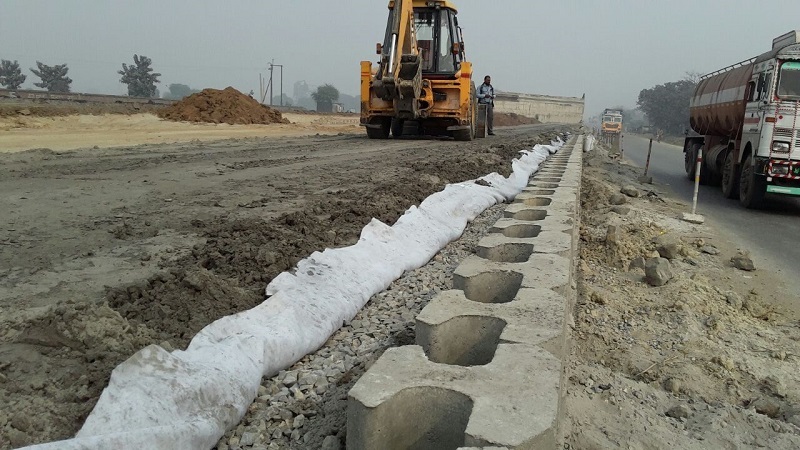 Furthermore, entire life-cycle cost analyses are slowly gaining traction and independently proven maintenance reduction over the life of roads due to the inclusion of stabilisation geogrids, demonstrated by some manufacturers, are now being appreciated,” said Colin Gewanlal. Al Florez VP Marketing and Sales of Geo Products a USA based company manufacturing EnviroGrid Geocells (cellular confinement systems) that are used across the world in conjunction with SUBMAR West Africa who produces Articulated Flexible Concrete Mattress, comments that the efficacy of geosynthetics materials and longer the lasting sustainable results will create a new order of composite materials based road construction and possibly a total change into monolithic materials for the sub-base and wearing course in addition to an increase in soil stabilization and erosion control.